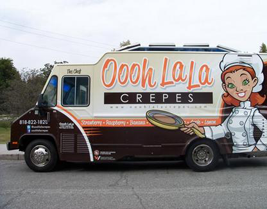 Oooh La La Crepes is a gourmet food truck serving great tasting crepes with friendly people at your service. Serving crepes to the people of Los Angeles. Cooking has been a a life long passion for European born and raised chef Simon. 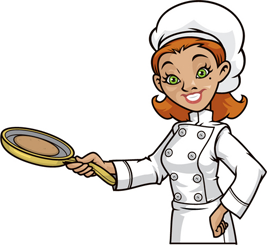 Owning a gourmet food truck offering gourmet crepes gives this chef a chance to bring her passion for cooking to the people. What better way to bring her food to the people than the Oooh La La Crepes truck. To learn more about Oooh La La Crepes, visit us at www.ooohlalacrepes.com!